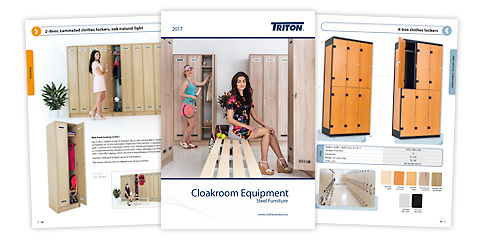 We would like to introduce our new and updated catalogue "Cloakroom Equipment, Steel Furniture" for 2017. Here you can review photos from our latest projects. A cooperation with EGGER company – an Austrian manufacturer of laminated chipboards – has been started. We are using their products exclusively. 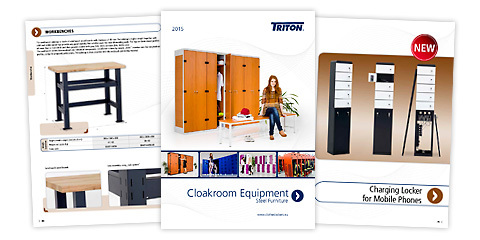 We would like to introduce our new and updated successful catalogue „Cloakroom Equipment, Steel Furniture“ for 2015. This new edition contains new products as well. Our catalogue is available here. You can find new product Photo album for 2014 in „Download“ section, where selected items from our portfolio are shown together with our new products, which will be presented at exhibition FIBO 2014 in Cologne, Germany as well. We would like to introduce our new and updated successful catalogue „Cloakroom Equipment, Steel Furniture“ for 2013 / 2014. This new edition contains new products as well. 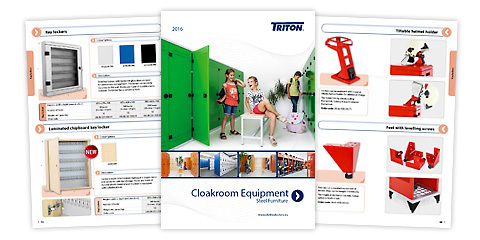 let us introduce you a new updated version of our successful catalogue „Cloakroom Equipment, Steel Furniture“ for year 2013. There is a new Photoalbum 2012 ready to download in the "Download" section of our website. This photoalbum is ready to guide you through our product portfolio. You can also meet all news in our offer, which will be also presented at the FIBO 2012 exhibition in Essen, Germany.